This afternoon, 200 pieces of the late Lena Horne's jewelry, furniture, autographed items, fine art and clothing went up for auction through Doyle New York. Horne died last May at age 92. Her personal treasures up for grabs include dresses, baubles and bags from Chanel, a trunk from Louis Vuitton (inscribed to the singer), couture hats, mink coats and endless bracelets, brooches and earrings. There's also a collection of 20th-century African-American art, and her many collected paintings, bronzes and sculptures are on the block. Horne, who was born in Brooklyn, N.Y., began performing at the Cotton Club in Harlem when she was 16. She became the featured vocalist on an NBC popular jazz series, and then recorded her first album in 1941 and went on to star in a string of musicals and TV variety shows. 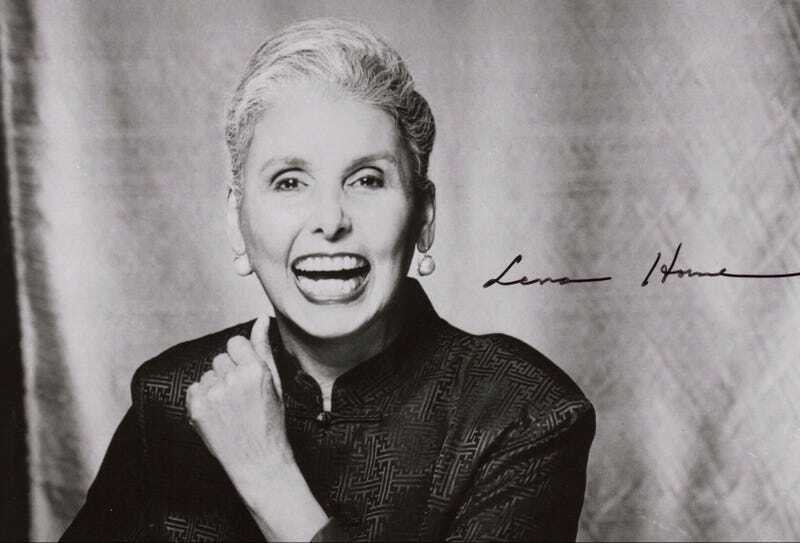 Even though she also went on to star in nightclubs and on Broadway, it would take almost half a century before America would fully embrace Lena Horne — because throughout her prime performing years, neither Hollywood nor the music business was ready to give a "colored girl" a full fair shot in the mainstream. In other news: Is a Graphic Slavery Film Too Much for 9-Year-Olds?